Product Details - Material - Soft Rubber , Dimension - 17 cm, which is an ideal throw around and chew toy for your pet dog, Suitable- Dogs of Smaller Breeds and Puppies. 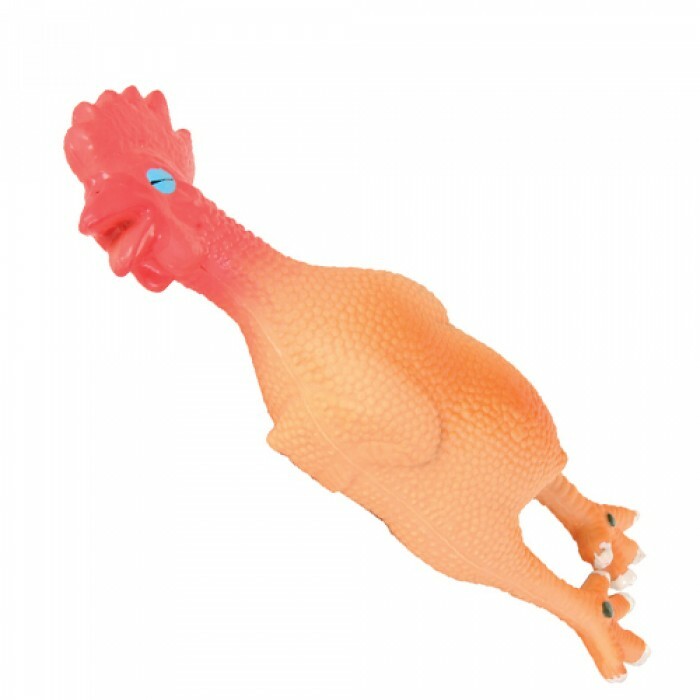 Product Information - Trixie Chicken Latex is durable dog toy that your dog will enjoy palying with made from high quality latex with a squeaker. It is suitable for puppies also. Its latex construction also helps massage his gums and satisfied the natural urge to chew. The shape is designed specifically to fit your dogs mouth and built in squeaker.